1. 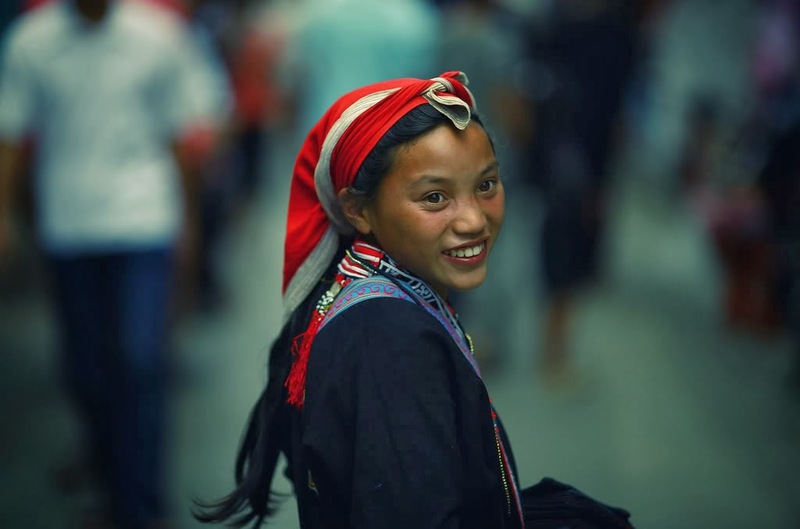 Hanoi and North Vietnam welcome autumn with a unique specialty. 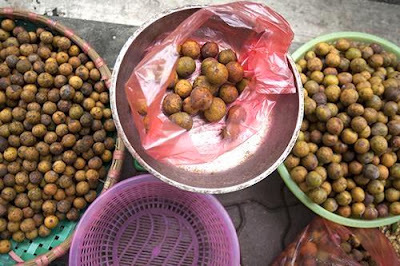 When the winds of the autumn come is the time dracontomelon fruit is ripening on the streets of Hanoi - Best of North Vietnam. 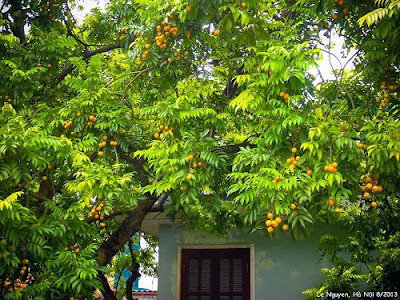 Small, round, yellow-ripen fruits are packed with so many memories of those who grew up or lived in the capital. Seeing ripening dracontomelon fruits, many people immediately think of the fall of Hanoi as well as Northern Vietnam . The dracontomelon fruits are peeled then sugared or salted are the favorite junk food of many people. 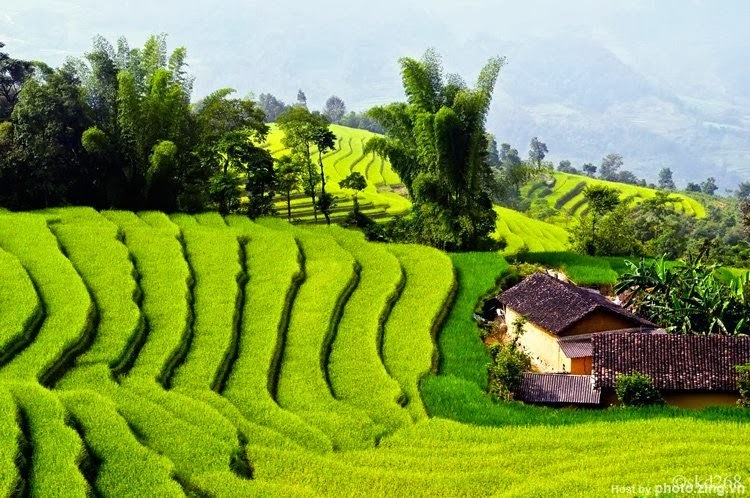 "I grew up in Hanoi but I have lived in Saigon for five years. During the summer, my parents send me some green dracontomelon fruits to me every month. I kept them in the fridge to cook sour soup. When dracontomelon fruits are ripen, my mum immediately sent me one kilo to salt at home. 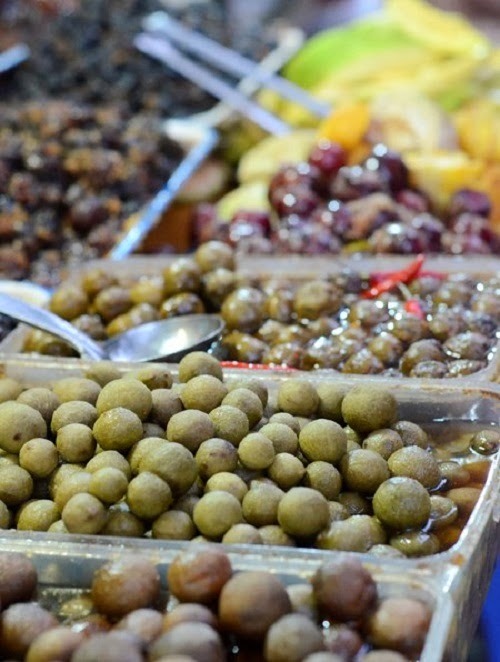 The sourness of the fruits with salt and chili is very good," said Ms. Hong Linh in District 1, Ho Chi Minh City. In Hanoi there are many streets with rows of dracontomelon trees, such as Phan Dinh Phung, Tran Phu, Tran Hung Dao... 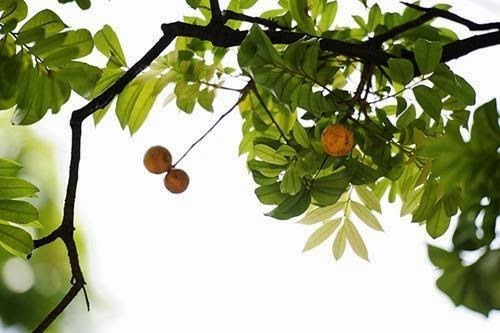 The trees are very high so few people noticed the ripe fruit on the trees. For many poets and musicians, ripen dracontomelon became poetic images. The ripen dracontomelon season does not last long so women quickly purchase the fruits to process into delicious cuisines for their families. 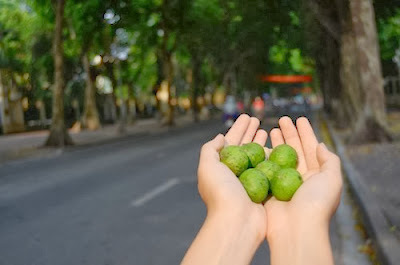 Ms. Ha who sells ripen dracontomelon on Dai La Road, Hanoi, said she sold tens per day. The sugared and salted fruits are favored by young girls. Sugared dracontomelon fruits can be processed into delicious drink. 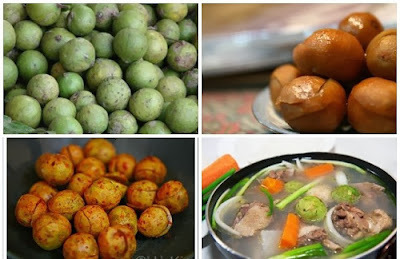 Dracontomelon fruits can be used in sour soup. Dracontomelon trees on Phan Dinh Phung Street. 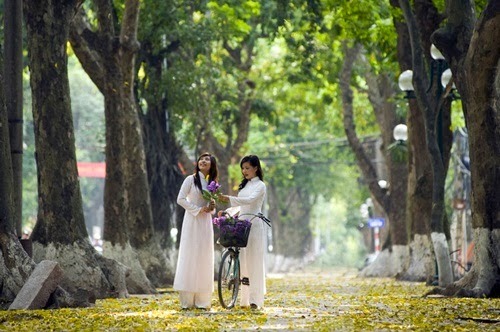 Many roads in Hanoi are covered with yellow leaves of dracontomelon trees at the end of spring, early summer. Two rows of dracontomelon trees on the sidewalks of Phan Dinh Phung Street. 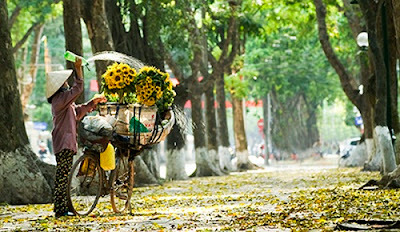 Many generations of Hanoi students consider this road as the most poetic in the capital. 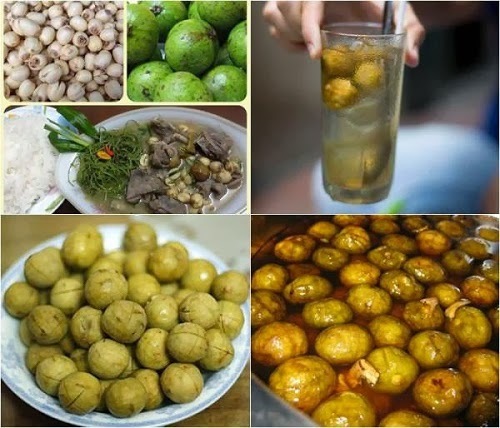 Ripen dracontomelon fruits are the simple fruits that reminds people of Hanoi.